Is it possible to have soft, healthy skin, even in the dead of winter? While you may be suffering from red, raw, cracked skin right now, there are things you can do to make a difference. WASHINGTON — Is it possible to have soft, healthy skin, even in the dead of winter? While you may be suffering from red, raw, cracked skin right now, there are things you can do to make a difference. Dr. Cynthia DeKlotz, a pediatric and adult dermatologist at Medstar Washington Hospital Center, says having a good winter skin regimen, and sticking to it, is the most effective way to manage winter damage. To set up a good regimen, DeKlotz recommends starting with a bath or shower. But re-evaluating the products you use every day may help you get long-lasting results. “Use a gentle cleanser that’s ideally free of all fragrances and perfumes,” she says. While it may be tempting to dry yourself as quickly and as vigorously as possible, DeKlotz says creams and lotions will be more effective on slightly damp skin. DeKlotz says creams with ceramides, which are naturally occurring moisturizing agents in the skin, can help rehydrate particularly dry areas. 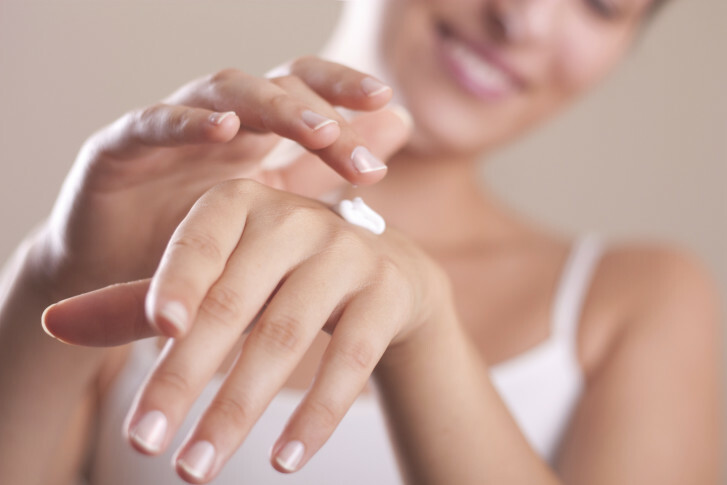 However, if your dry skin is cracked or bleeding, that may require a prescription ointment. Andrea Vieira and Claudia Diamante, co-owners of Nail Saloon in Logan Circle, N.W., have seen it all. “A lot of people come in here with raggedy cuticles, really dry knuckles and especially with hands that are really red from the chafing that occurs when hands are exposed to frigid cold air,” says Vieira. At Nail Saloon, there’s a three-step process that manicurists use to rehydrate thirsty hands and feet. First, gently exfoliate to remove the top layers of dead skin. It’s so simple, she says, you can even do it while you’re cooking. The second step is to steam them. A steamy shower, a hot towel, anything at your disposal. You might even try holding your hands high above that pot on your stove. Be careful, though. There is such a thing as too much steaming. The third step: Lock it in with a powerful moisturizer. Exfoliate, steam, and lock it in, says Diamante, and do it often. In addition to the three-step process, Vieira says it pays to keep an eye on your bad habits. A common culprit for dry hands, Vieira finds, is hand sanitizer. If you want long-lasting soft skin, repetition is key.